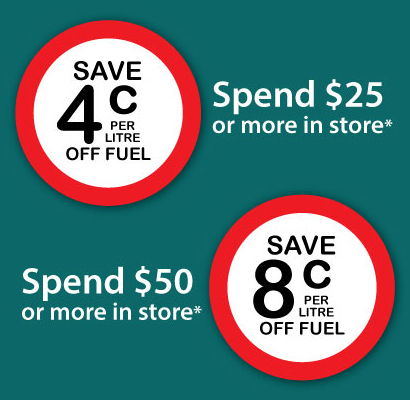 Spend $50 on fuel or instore (excluding cigarettes and phone credit) for your chance to win. 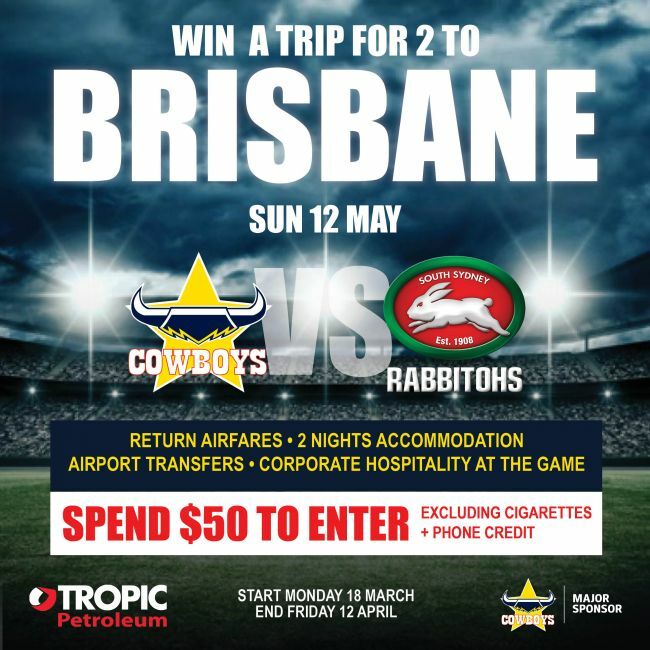 Prize consists of 2 return economy airfares, twin share accomodation for 2 nights including breakfast, transfers to and from the game and the airport and Corporate Hospitality at the game. Starts Monday 18th March 2019 and finishes Friday 12th April 2019. You can enter at all of our sites: Ayr, Bowen, Cairns, Charters Towers, Cooktown, Garbutt, Longreach, Malanda, Pimlico, Roseneath, Tully and Winton. Fuel Discount offer is not valid in conjunction with Starcard, Fleetcard, Motorpass and Telephone credit. 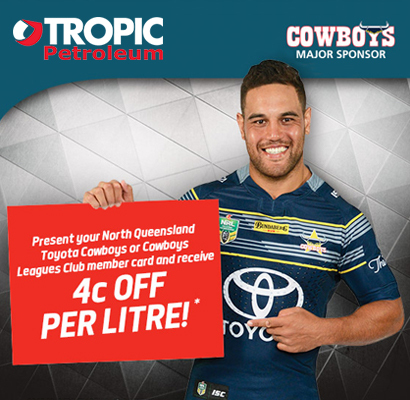 Present your North Queensland Toyota Cowboys or Cowboys Leagues Club member card and receive 4c off per litre! 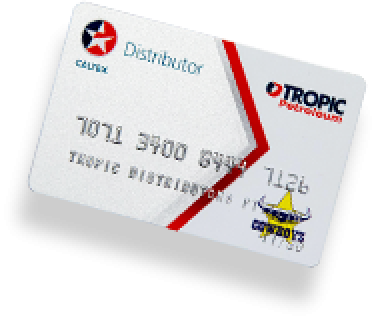 * off pump price of fuel at participating Tropic Petroleum fuel sites. Rebate valid for up to 150 litres of fuel per purchase. Not valid in conjunction with Starcard or any other fuel card purchases or in conjunction with any other fuel offers/discounts.